Do you have a blog but are not building an email list? If the answer is Yes – you should drop everything and set up a system to collect email subscribers (it’s easy and doesn’t take too long). Even if you have low (or no) traffic as of now, have the email list building system in place – because every email subscriber counts. When you have an email list, you have a business. It gets significantly easier to make money from your blog when you have an engaged email list. Although I don’t know about your blog – I know one thing for sure. Every person who comes to your website is going to leave. And if you have no way to contact them again, you’re losing out. I have been doing email marketing for many of my blogs and have experimented a lot with email list building techniques. In this blog post, I will be sharing some ways you can use to collect more emails ids with the same traffic on your blog. This will be helpful only when you have the system of collecting emails in place and are already getting some email subscribers. One of my blogs currently has an active email list of 32K+ email subscribers. These are all active subscribers who open and read my emails. Over the years, I have experimented with multiple list building techniques, which I will be covering in this article. Email is still considered more personal than social media. So, if you want to be a part of someone’s inbox, you need to offer them something more than a – “Join our Newsletter” or “Get Weekly Tips“. A promise to send awesome content via email is not going to cut it anymore. Think about it – no one says they are going to send a barrage of spammy emails in exchange for someone’s email address. Everyone promises to send useful content. There needs to be a more compelling reason for your readers to give you their email address. This could be a valuable eBook PDF, a video series, a checklist, an email course, exclusive access, etc. Create something that your readers will find valuable and then share it with them in exchange for their email address. This valuable freebie that you share with them is called a lead magnet. Since this is a relatively new blog, I am only offering one single lead magnet for everyone. As I write more tutorials and get more traffic, I will start offering more such lead magnets for better conversion. Pro Tip: You don’t need to write a whole new ebook or record a video with exclusive content. While you can do that, the easier way would be to convert one of your existing popular blog posts into a PDF ebook or a video and offer it as the lead magnet. First impression matters, especially when you’re trying to get your readers email address and only have a few seconds to convince them. Spend some time creating sign-up forms that look neat and professional. And you don’t need to have a degree in graphic designing to do this. There are many tools available that will allow you to create beautiful looking forms in minutes. Start with your email service provider and see if the signup form they provide is good enough for you. All the major email service providers have video tutorials and active Facebook groups where you can reach out for help. I currently use and recommend Convertkit as the email service provider. It’s a robust platform that has a lot of automation power and is built for bloggers. The interface is clean and extremely easy to use. If you want to go further, there are some tools that allow you to create amazing sign-up forms and pop-up boxes. I personally love Thrive Leads and Optin Monster (both paid). You can also try the one by Sumo (Free). In your sign-up forms (or boxes or ribbons or whatever you’re using), you need to clearly state the benefit a subscriber would get if they subscriber. The purpose of the lead magnet that you offer is to help your subscriber reach where they want to go. For example, if you have a blog about weight loss, use a headline that will help your user visualize how your lead magnet is going to help them lose weight. I came up with these in less than 2-minutes, and I am sure you can do a much better job with it when you put in some time thinking about it. I am surprised to see how many people are running great blogs but don’t have compelling enough sign-up forms. I am sure they are getting some email sign-ups with regular “Join our newsletter” types forms, but simple tweaks in the headline and offering a lead magnet can really do wonders for email list building. Words such as ‘FREE’ or ‘EXCLUSIVE’ often have a positive impact on email signups. Although this may seem redundant – after all, a PDF is free if you’re not selling it and a newsletter can’t be exclusive if anyone can join, it still helps drive more signups. You can get a list of power words here and experiment with these. Pro Tip: If you want to get some ideas on how you should craft a compelling copy, check out some books in your niche on Amazon (or any niche closer to yours if you can’t find books on yours). A lot of thought goes in designing the covers of these books and you can take some inspiration from them. Some people may sign-up for your email newsletter as soon as they come to your blog and see a signup form. And some may need a little more convincing before they are ready for it. To make sure you’re catering to all types of readers, it’s best to have multiple sign-up boxes in the same blog post. A ribbon that appears at the top of the page. Every blog is different and you will have to test which positions work best for you. The best way to start would be to see what other popular blogs in your niche are doing. You can start by emulating what’s working for them and test with different positions for sign-up forms. Based on the tests I have done on my blogs, I have found the end of the post to be a high conversion position to have email sign-up forms. Someone who has gone through the entire article is more likely to sign-up when given the right lead magnet. But this is based on my tests. You do your own! Pro Tip: Don’t bombard your readers with a lot of ads and signup forms as soon as they land on your blog post. Make sure the user experience is good or else your readers are going to close your blogs and find something else. This also impacts your dwell time which is a search engine ranking factor. When you’re building your email list, there are two ways to get people to subscribe – Single Optin and Double Optin. Single Opt-in means that as soon as someone enters their email address, they become a part of your email list. Double opt-in means that a person will have to first enter their details (email address and/or name) in your signup form, and then confirm the subscription by going to their email and clicking on a link. This is called double opt-in as a subscriber has to confirm the opt-in twice (once while entering the details and then by clicking on a link in the email). Both of these are fine methods and have their pros and cons. Single Opt-in will make it easy for you to get more subscribers as you have removed an additional step of clicking on a link in the email. But this also means that you may end up getting a lot of spam emails in your email service provider. Double opt-in often leads to a better quality list as it ensures the emails are correct and people are verifying the emails. The downside is that a lot of people are not likely to confirm their subscription and you may end up losing them. If you want to get more email signups, try experimenting with both these methods. Single opt-in can help you get more email subscribers and you can continue to use it if you think the list quality is decent enough. Pro Tip: I switched from double-opt-in to single-opt-in a few years ago. I auto-confirm everyone who joins my email list, but I remove the people who have not opened or clicked on any of my past 10 emails. I have found that sometimes it takes people 4 or 5 emails to start engaging with your emails. Sometimes people are busy and may not confirm the subscription right away but come back to your emails after a few weeks. How much effort does it take to enter your name and email address in a signup form? For some people – TOO damn much! Any action that takes any effort at your readers part – even if it’s a minuscule effort – will lead to resistance from them. This means that a lot of you readers are not likely to enter their email address in your signup form as they find it too much work (even though they may like to get the lead magnet you’re offering). While you can’t eliminate this altogether, you can rely on two psychology principles to make it seem easier for your subscribers to sign up. Instead of making them go all the way with a single sign-up form, you can create a form which only asks your readers to click on a button. And we can all agree that clicking a button takes a lot less effort than entering the name and email address. As soon as someone clicks on the button, it will show a sign-up form that would require them to enter the name and email address (or whatever data you choose to get). What changed? Aren’t we still making them do the work? Not much has changed, but this technique uses a powerful combination of two methods – Micro Decisions + Sunk Cost Fallacy. Should I enter my details or not? Do I really need another email in my inbox? Is it safe? Are they going to spam me? When you have to make decisions, it leads to resistance. No matter how small the decision is, it will cause some resistance as it takes effort. But when you remove everything and only have a button, all the decisions are replaced with one – whether to click the button or not. And clicking a button is a lot easier than entering all your details… right?. So instead of asking for everything at one go, you use a micro decision (which is clicking a button in this case) to take them forward. Now, as soon as a visitor clicks the button, the sign-up form shows up and another psychology principle comes into effect – the sunk cost fallacy. This means that if now the reader decides to close the form and not enter their details, they are wasting the effort of clicking a button. This is the sunk cost fallacy that will make them feel bad for the loss of their time and effort in case they don’t subscribe. This fear of loss is a potent factor that can help you get more people to sign-up for your newsletter. So if you want more email subscribers, you should definitely give two-step opt-in forms a try. In 2012, Leadpages tried it and it led to a 60% increase in email signups for them. You can read about it here. You can easily create two-step opt-ins with Thrive leads or Optin Monster. As I mentioned earlier, you need to test these things on your blog. Every niche and every blog is different. What may work for the rest may not work for you. Make decisions based on data. Over the years, we have evolved in a way that promotes following the herd. Imagine the old days when we were hunters and gatherers. There was a risk of life from many things – animals, fire, natural calamities. In such a state, people who stuck together survived and those who didn’t follow the herd perished. Imagine you’re working in an office and suddenly everyone starts running towards the stairs – what will you do. The first reaction would be to run and save yourself instead of questioning the behavior of the heard. The same concept is applied to social proof when it comes to marketing. When we see a lot of social proof in doing something, we are more likely to do it. You can use this to your benefit in getting more email sign-ups as well. All you have to do is show social proof in your sign-up forms. Below is an example of a sign-up form from the blog – Barking Up the Wrong Tree. When you show social proof, it instantly makes your signup forms look more appealing. After all, if so many people are signed up, it must be good. What to do when you have few email subscribers? Wait till you get to a level when it looks good to show subscribers count. I started when mine crossed 2,000. When you don’t have the numbers, here is what you can do. Reach out to the influencer in your niche and share your lead magnet with them. Once they have had time to go through it, ask for their feedback/testimonial. You can show this testimonial in your sign-up form as social proof. An endorsement from an influencer is a powerful social proof and may even outperform showing the subscriber count. You should test different methods and use the one that works best for you. It’s far easier to be convinced to sign-up when we can see something tangible. If you’re promising an Ebook or a Video course as the lead magnet, try and design an image that would represent the lead magnet or the benefit from getting that lead magnet. You don’t need to hire an expensive graphic designer to do this. Just go to Canva and you can easily create something good looking in less than an hour. A good starting point would be to have a look at what other popular blogs in your niche are doing. Don’t copy what they have, but you can surely take some inspiration. You will notice that I use this technique a lot. All of my sign-up forms (on this blog or any other blog of mine) would have an image that represents the lead magnet. Personally, I find pop-ups irritating. There are often too many things that are screaming for a readers attention, while the valuable content gets lost among all this. I have completely moved away from using pop-ups on any of my sites, but I still recommend using the Exit intent pop-up. If you don’t know what an exit intent pop-up is, it’s a pop-up that appears when a visitor moves their cursor towards the close icon of the webpage/tab. The reason I don’t mind using an exit intent pop-up is that it doesn’t ruin the reading/viewing experience of the user. If I am moving my cursor to close the page, I have either got what I wanted or I am not interested. You may find a lot of e-commerce companies using exit pop-ups. They use it to offer a deal or a discount to people who are leaving their site. As a blogger, you can offer a lead magnet to those people who are leaving your site. These can be the same lead magnets you’re offering in other places of the blog or could be something different. Pro tip: It’s my personal preference to not use pop-ups. The truth is that pop-ups work great in collecting email sign-ups. So feel free to experiment with it and decide for yourself. Chatbots are relatively new among bloggers and not many use it to collect email signups. I have been using a chatbot on one of my blogs for that a year now – and the results have been amazing. The reason I like chatbots so much is that these are non-intrusive – unlike pop-ups. You can have these on the side and it will not ruin the reading experience of your visitors. Another reason it works great is that of the conversational chat like nature that makes it look a lot more natural (as if someone is actually manning the chat). The best part about chatbots is that there can be conditional branching. I can design it in a way that it asks whether someone is interested in a particular topic or not, and then offer a lead magnet for that specific topic. For example, I can ask the reader whether they already have a blog or not. If they don’t have one, I can send them an ebook/video on how to start a blog. And if they already have a blog, I can offer some other ebook (such as the tools I use to run my blogs). This also helps me in segregating these leads into different segments. I use and recommend Collect Chat as a good chatbot. I have been using it for more than a year now. You can see a live chatbot at the bottom right of this screen (if using a desktop/laptop). Imagine you have a fitness blog and someone lands on your blog post about Paleo diet. Why – because it’s about the same topic that the visitor is reading on your blog. To improve your email signup conversion, it’s best to offer a lead magnet that is closely related to the visitor’s intent (which is paleo diet in this example). Content Upgrades are lead magnets that are specific to the blog post or page. These work really well in increasing email signups as it’s more targeted to the readers intent. Brian Dean, who runs a popular SEO blog Backlinko, reported that using a content upgrade increased his conversion by a whopping 785%. Pro Tip: You don’t need to create content upgrades for all the posts, just the once that are popular. Use Google Analytics to identify the posts/pages that are getting maximum traffic on your site and create content upgrades for those specific posts/pages only. If you have a lot of different categories on your blog, you can create lead magnets specific to those categories. While this is not as specific as a content upgrade, it’s still better than offering one generic content upgrade for all the visitors. For example, suppose you have a travel blog with categories such as – Travel Guides, Travel Accessories, Money Saving Hacks, and Travel Tips. You can create four different lead magnets – one for each category. This will help you increase your email signups as it’s more targeted for a category than a generic lead magnet that targets visitors of every category with the same message. There is no one thing that works for everyone. Every niche and every blog is different, and you need to A/B test regularly to make sure you email lead generation process keeps improving. You can test different types of lead magnets to find out the ones that work best. Once you start getting some traffic, experiment with a few types of lead magnets and see which one works better. Don’t go by what other bloggers tell you. Test for yourself. For one of my blogs, I got the advice from many bloggers that PDFs with less number of pages work way better than big 60-70 page PDFs. The logic was that no one has the time to go through big PDFs and it’s better to share something that can be consumed quickly. But the A/B test said otherwise. My 60-page PDF significantly outperformed the 10-page one. So no matter what anyone says – A/B test! A/B testing is something you can easily do with Thrive Leads. There are tools that allow you to share the link of someone else’s blog content and when someone opens the link, they will be greeted with your sign-up form. Below is a link that was shared on Facebook by The Hoth – one of the fastest growing SEO companies in the world. When you click on the link, it will open the article as promised, and at the same time, also show a signup bar that will add you to the email list of The Hoth. Since the article and the sign-up form message are very closely related (both are about SEO in 2019), this can help them get some email signups without creating their own content. There are a couple of tools that allow you to create these types of links. While I have never used this technique myself, the two tools I have played around with are Replug and Sniply (I found Replug to be better). For most blogs, homepage and about pages get a lot of traffic. Even if these pages are not ranking in search engines, some people who end up on your blog posts are likely to visit your homepage and your about page. You can create a specific landing page that is meant to collect email signups. Below is an example of Backlinko website where the only purpose of the homepage is to collect email subscribers. And the same goes for his about page, where you can find an email signup form at the bottom. If you’re not getting organic traffic, you can use social media to drive some traffic to your lead generation pages. For example, if you have an ebook that you’re offering, you can add a link to the ebook everytime to share something on social media. Below is an example of Ryan from Blogging From Paradise who always shares the link to his books in the videos he uploads on Facebook. While he promotes his Amazon books on this link, you can use the page meant to get email subscribers. Giveaways have worked really well for many people. One of the best success stories I have come across is of Josh Earl from Sublime Text. Josh used the giveaway method to grow his email list from 5,500 subscribers to 364,104 subscribers (you can read the entire story here). In this giveaway, Josh offered the paid version of his tool to one of the winners. Also, he used the tool KingSumo that allows you to increase your chances of winning if you share the giveaway on your social media and with your friends via email. This was 2013, but the giveaways still work. Offer something that you know is already coveted by people. It could be your own course or coaching session in your niche. You can offer a physical product or books to get email subscribers. Here is an article on how Harpoon ran a giveaway by offering a messenger bag. You can reach out to influencers in your niche and ask them to be a part of this giveaway. They can offer one of their paid product/course and in return, they get visibility through this giveaway. You can see a lot of this happening on Black Friday. If you’re like me and send a lot of emails, it’s a good idea to add a link to your lead magnet signup page at the bottom of your signature. This may not lead to a huge surge in your email sign-ups, but it hardly takes any time and can lead to some very targeted email signups. Similarly, you can add a link to your opt-in pages to your social profiles. Below is an example where Nathan from Gotch SEO has added a link to his new course as a pinned tweet. You can also put a link to it in the Twitter bio. If you have a facebook page or group, you can pin your lead magnet page link to make sure new members/followers are more likely to see it. Sometimes, a small change in the words on your Call-To-Action (CTA) button can make a huge difference. If you’re offering a free lead magnet, A/B test the CTA copy with and without the word FREE. Here is a great article by Aweber on how to craft winning CTAs. At the risk of sounding like a broken record, let me reiterate – Test, Test, and Test. Once you start getting decent traffic and signups, you should start testing each and every part of email signup. I have kept this at the end of the article as I think this should be tested once you’re getting a decent number of sign-ups. Have a button color that stands out from its surroundings. Make sure it blends well with your overall theme of colors. Colors such as Red, yellow and orange have been known to perform better, but again, this is something you will know only when you test it with other colors. Here is an article by Hubspot where they tested Red Vs. Green and found that 21% more people clicked on the red button. In another test by Monetate, the blue button outperformed the orange button by 9%. If you’re just starting out with email list building, use a red or orange CTA button, and A/B test it later when you have some traffic and signups coming in consistently. If you have any email list building tips that you want to share with us all, please leave it in the comment. 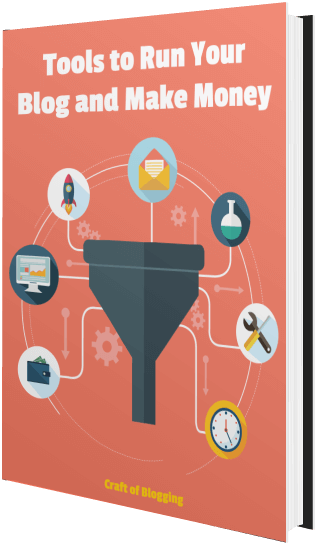 I must say this is the most details guide I have ever read for email marketing and automation. I have been always scared of this part and could never got hold of it. But after reading this, I will making a lot of changes to the email subscription part of my blog. The first of all I will be uninstalling Mailchimp for sure and will find a better alternative from the list you mentioned here. Thank you so much for this article, with all its examples and tools. Will definitely use your suggestions.